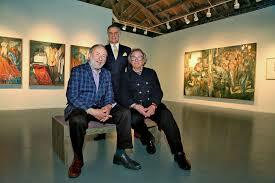 A high-performance moment slated, this weekend, for Jack Rutberg Fine Arts, the stellar LaBrea Avenue art gallery. 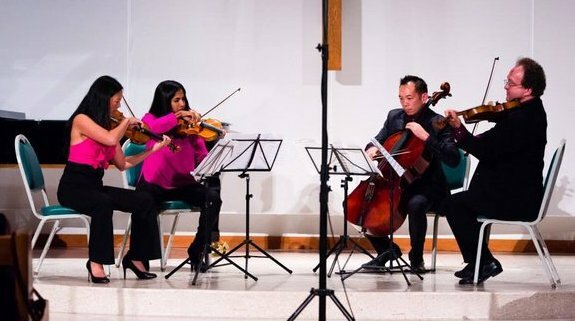 Chamber music presenter Music & Conversations will host the Lyris Quartet whose punctilious playing we have so enjoyed around town — and who have a wonderful upcoming engagement on April 5 with Jacaranda, Music from the Edge. Wine-quaffing part of the deal! A tasting experience by Casa Torelli Imports included in the $20 admission. Add to this the friendly crowd Rutberg attracts and you’ve got a great Saturday night plan. An outstanding arts environment prevails in the gallery right now… a major exhibition, TWIN VISIONS, featuring paired viewing of works by identical twins, painter Jerome Witkin and photographer Joel-Peter Witkin. So plan to arrive at 7 pm to sip and gaze. And converse!